In the past, designers used to follow the trend of packing sites with flashy illustrations and animations with the sole motive to amaze the visitors. But nowadays, the trend has shifted to a more minimalist and clean approach and that is how the flat design trend has emerged. Flat design opposes the cluttered design techniques, and rather it is more simplified and aesthetically pleasing. You can also see Dashboard UI Templates. More number of app and web designers have started following this trend, and the impact of flat design can be seen in the wide variety of UI designs we find on the web. Also, flat UI design is brilliant when it comes to responsiveness and trying to fit into multiple screen sizes. 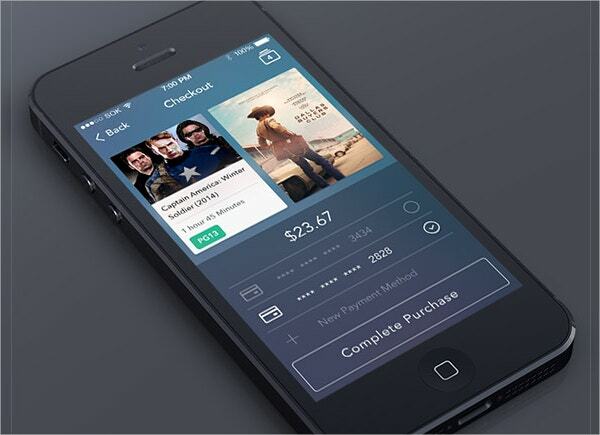 You can also see PSD UI Kits & UI Design Elements. 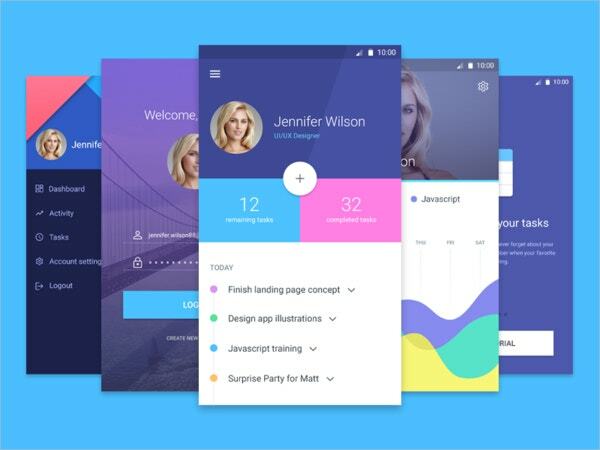 Astal Flat Mobile UI Design is a gorgeous set developed to inspire your next application design and it’s entirely based on flat design standard. 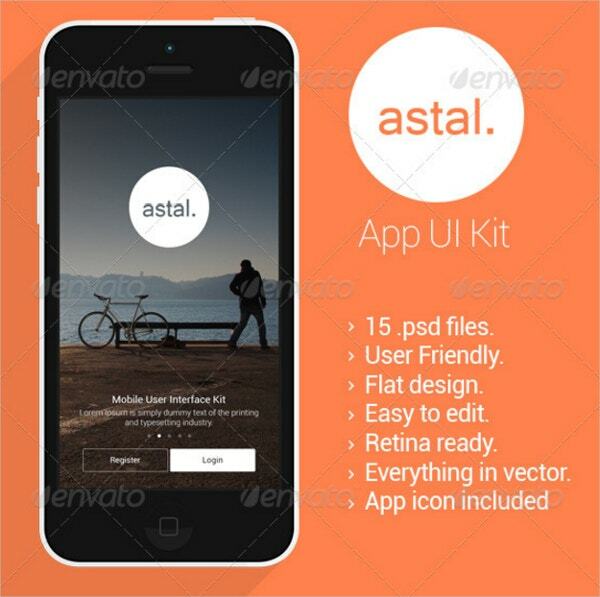 Astal Flat Mobile UI Design template contains fifteen user friendly .PSD files and it is easy to edit and comes retina ready. User Interface Mobile Design mockup template enables designers to come up with UI designs which offer premium user experience and incredible responsiveness allowing them to fit into multiple sized devices. 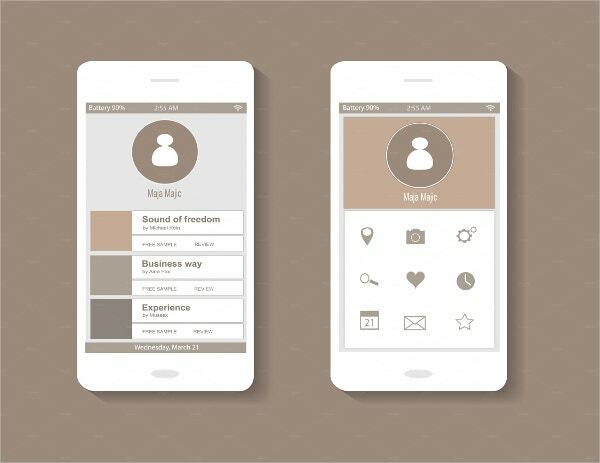 The best part about this User Interface Mobile Design template is that it offers ample color and design customizations. 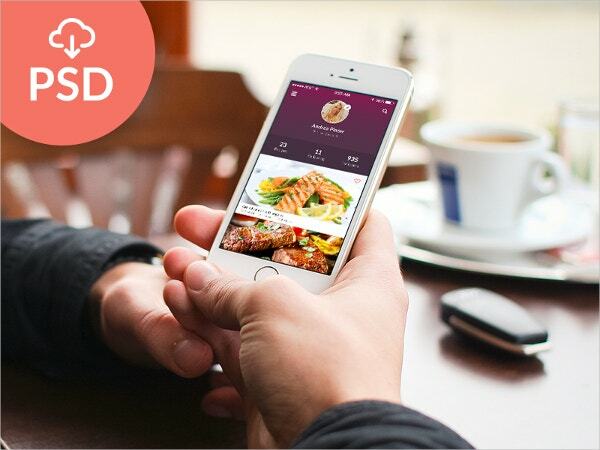 Yummly Mobile mockup template is one of the best examples of apps being designed using the flat design pattern. 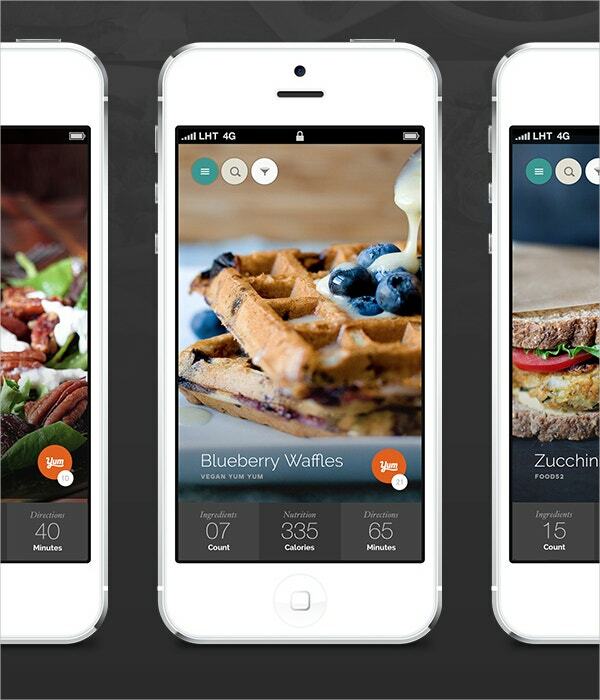 Yummy Mobile is a recipe-oriented app, and it can be utilized as the most powerful recipe search. It is very easy to navigate a simplistic user interface. So designers can make use of this mockup template and come up with new designs. 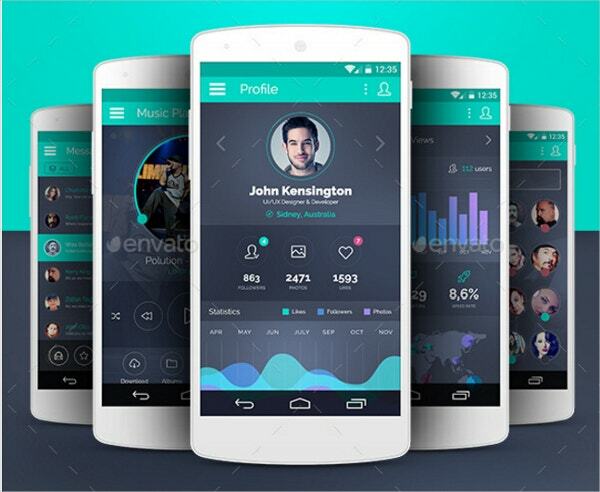 Flat Mobile App UI Design is an excellent mockup template which is based on the flat design standards. 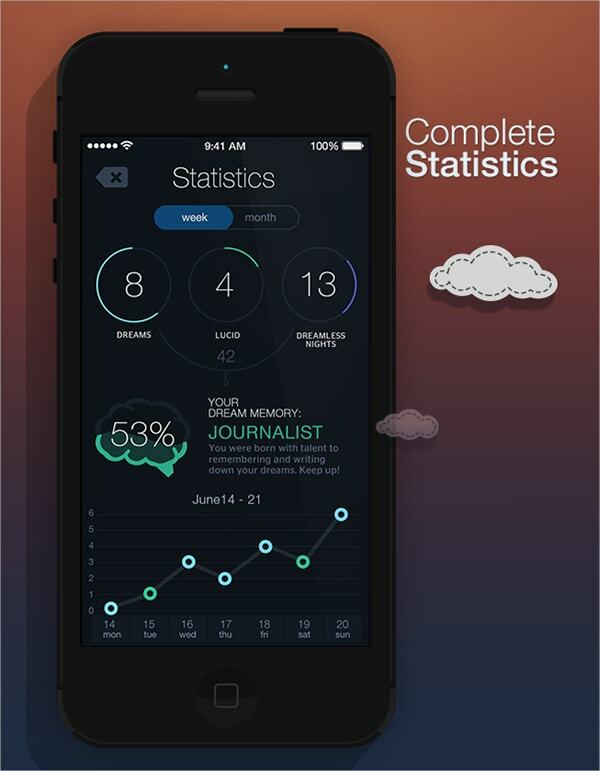 It will help you in your next application design project. This UI kit contains twenty-nine highly customizable PSD files and many useful elements. It offers smart objects and you can quickly alter the color scheme and images using them. 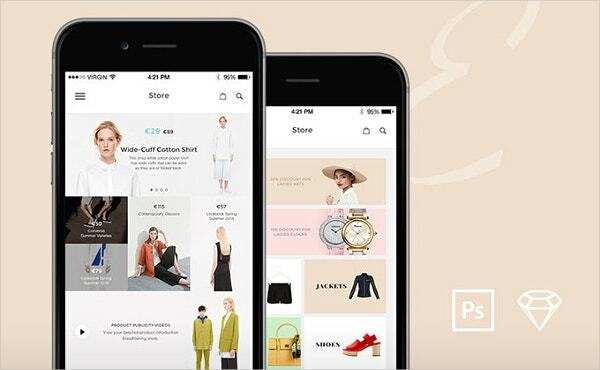 Flat design is a very reliable and popular style in the design industry, and Flat Mobile User Interface template is a prominent example of that. 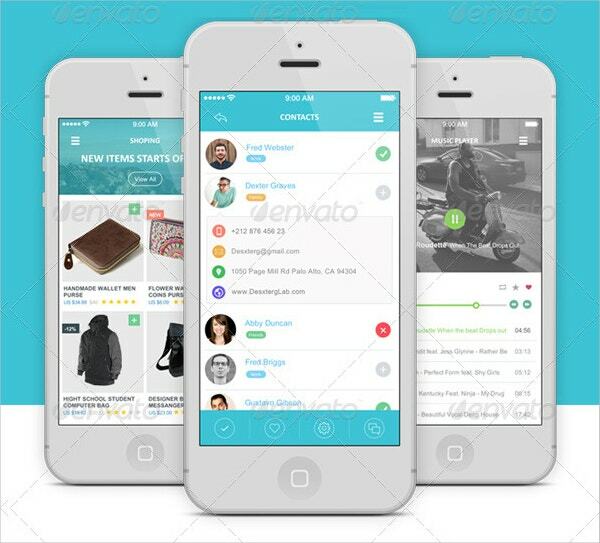 This template offers a flat and clean user interface, and it is apt for mobile and web app designing. It can be used for various design projects like designs of music player, calendar, map, profiles, search panel, login panel, alarm set up, etc. 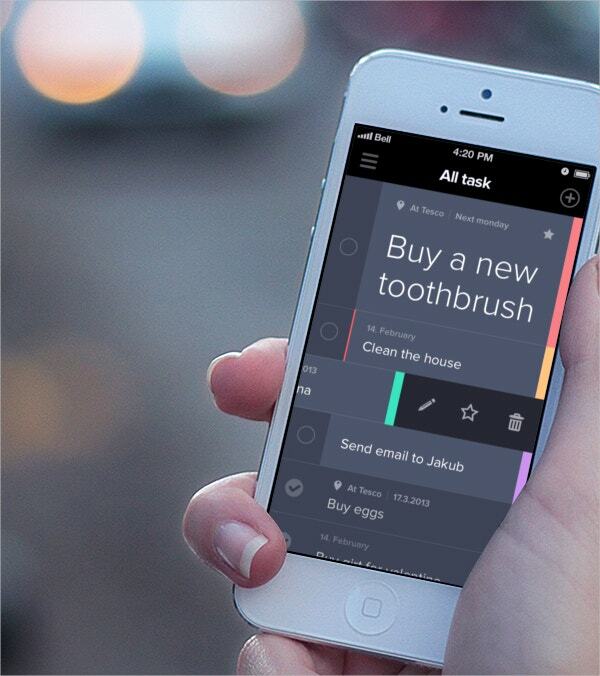 Taasky Flat Mobile UI Designs template offers a refined appearance. The gray background is nicely brightened which makes the interface look inviting, and the rainbow like the panel on the right side gives it a fascinating look and feel. 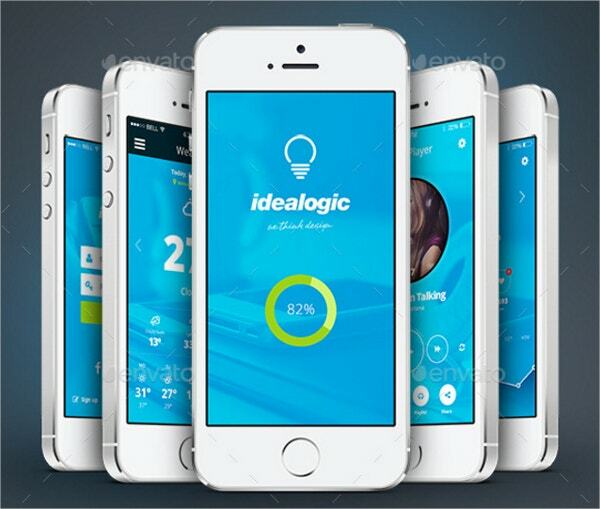 Idealogic Flat Mobile App UI Design is an Android mobile UI kit which contains twenty-four highly customized PSD files in three unique color schemes, and it also offers many other design elements. You can easily change the color scheme and images with smart objects and the items are 100% scalable vectors. Furthermore, it offers fully layered and organized PSD files which will make it easy for you to bring in further modifications as per your design need. 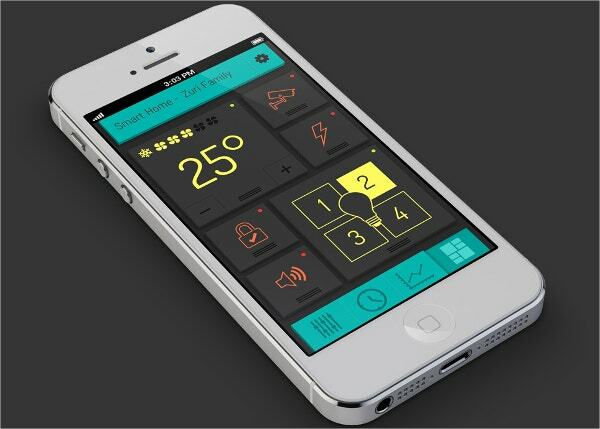 Mobile Material Screens UI kit is entirely based on the flat design module. It offers ten fully customizable PSD files and many vector elements. It further provides three different backgrounds to try your designs with, and offers Retina Display as well. 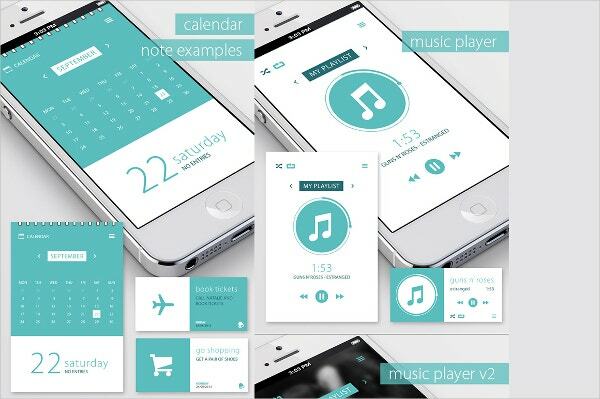 You can use different colors and this Mobile Material Screens UI kit for any app design. Elegance Flat Mobile UI Kit Free mockup template comes with twelve high-quality PSD screens that is focused around eCommerce. 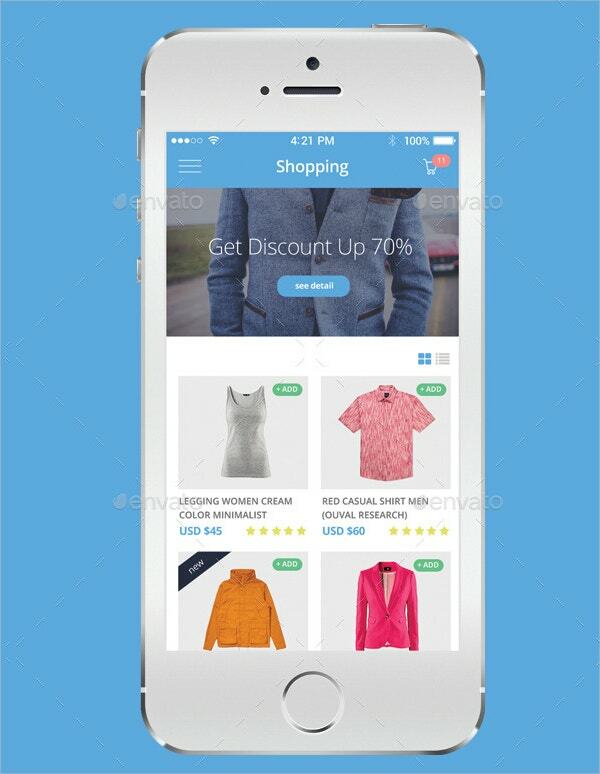 You will save yourself a lot of time by using Elegance Flat Mobile UI Kit if you are designing an app based on clothing and fashion department. It also offers crystal clear screens, fully customizable color structure and many icons with perfect sharpness and vector support. 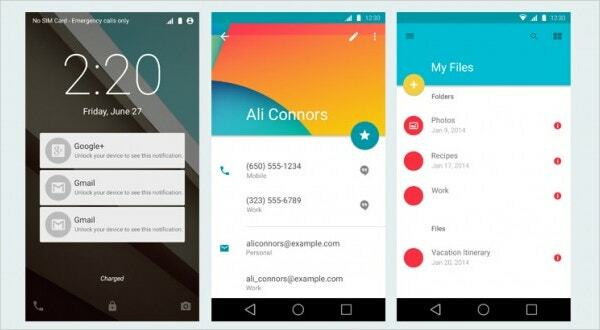 The flat design trend is here to stay, and it’s been a massive success among designers when it comes to creating apps. It’s not just because it’s aesthetically pleasing; it’s also because it offers a better user experience if implemented correctly and efficiently. 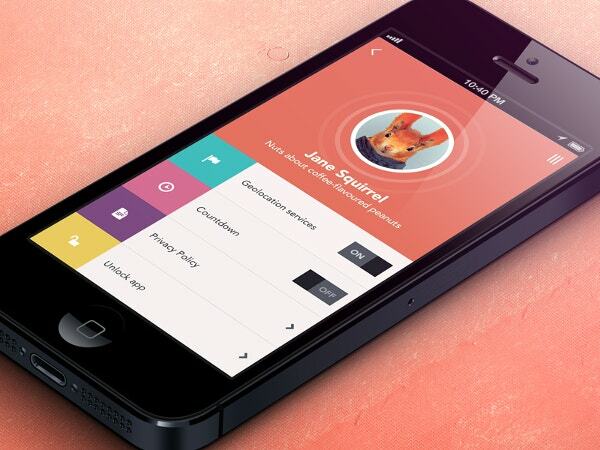 You can also see Flat Design Mobile Website Templates.